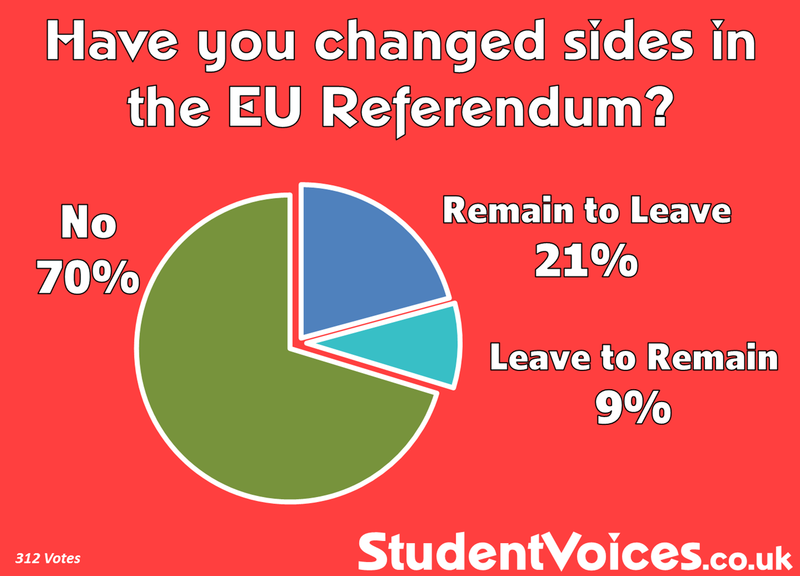 30% of respondents to our poll said that they have changed sides in their opinions on the EU Referendum, wit over 2/3rds of these saying they switched from supporting a Remain vote to Leave. 21% said they were originally on the Remain side but had changed to Leave while 9% said they were Leave but now Remain. 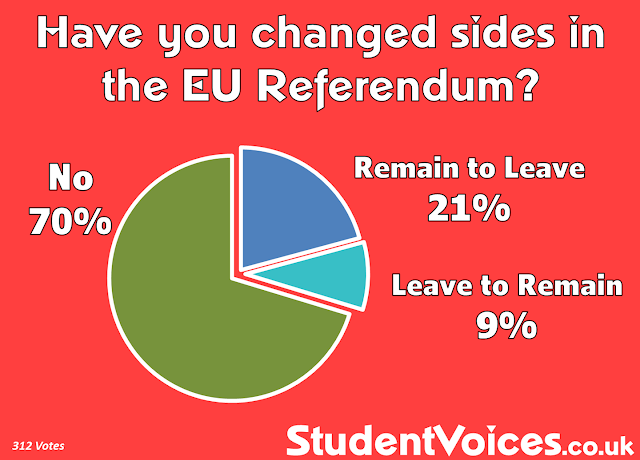 A large majority of 70% said they had not changed sides. The poll is consistent with a swing that has occurred to the Leave side, which has leveled out the playing field. With just two days until we decide whether to remain or leave the EU, professional polling has leveled out. The most recent poll of polls puts both sides on 50% and two polls published yesterday put different sides slightly ahead.